The present invention relates to the use of polymer particles produced by emulsion polymerization, the particles having a mean particle diameter in the range from 5 to 500 nm, comprising ionogenic groups located on the surface and/or not located on the surface, as proton-supplying and/or proton-accepting substances in heterogeneous chemical processes, particularly suited polymer particles for the use in such processes, and composite materials and molded bodies comprising the same. The present invention relates to the use of manufactured by Emulsionspolymerisαtion polymer particles having an average particle diameter in the range of 5 to 500 nm, containing surface-stan-ended and / or non-surface-stan-ended ionogenic groups as proton-donating and / or proton-accepting substance in heterogeneous chemical processes, particularly suitable polymer for the application in such processes and to compositions composites and moldings. Proton offers fundamental advantages, such as easier removal. Of such methods is generally a need for new proton donors and proton acceptors, with new or altered properties. The use of microgels for controlling the properties of elastomers or thermoplastics is known (WO2005 / 0331 85). In part due microgels have been used which have functional groups on the surface or over the entire cross-section. The present invention relates to the use of emulsion polymerization prepared polymer particles having an average particle diameter in the range of 5 to 500 nm, containing ionogenic groups as protonenhefernde and / or proton-accepting substance, in heterogeneous chemical processes. According to the invention included are also applications in which the polymer particles are first at least partially neutralized. The use of said Poiymerteilchen offers over classical proton donors and proton acceptors numerous advantages, since the chemical and physical properties of the polymer, such as particle size, Teiichenmorphologie, Queliverhalten, catalytic activity, hardness, dimensional stability, adhesiveness, weathering resistance, impact resistance on the one hand by the manufacturing process, in particular by the polymerization and by selection of suitable base monomers and on the other hand, their concentration and Ansiedjungsbereich specifically set by choice of suitable ionic groups in the polymer within wide limits and may be tailored. Heterogeneous processes or methods are those in which phase boundaries, such as in particular solid / liquid and / or solid are / gaseous involved, wherein the polymer particles are inherently assigned to the solid phase. Proton-donating or protonenakzeptierend means according to the invention in particular that the polymer protons on one they can deliver surrounding medium and can record. In a matrix, in particular in a polymer matrix, the polymer of the matrix are able to give a proton conductivity. Under emulsion polymerization according to the invention particularly to a method known per se is meant in which water is used as reaction medium in which the monomers used in the presence of emulsifiers and radical-forming substances are polymerized to form aqueous Polymeriatices (sua, Römpp Lexikon der Chemie, 2, 1 0. edition 1997; P, A. Loveil, MS El-Aasser, emulsion Poiymerization and emulsion Polymers, John Wiley & Sons, ISBN:. 0 471 96746 7; H. Gerrens, Fortschr Hochpolym Forsch 1,.. 234 (1 959)). The emulsion polymerization provides in contrast to the suspension or dispersion is usually finer particles which enable a lower Partikelabsfand in a matrix. The smaller particles lie with their low average diameter below the critical missing part size, ie the matrices containing them, are subject to only low mechanical impairment, with a corresponding degree of dispersion. Particles of a size of less than 500 nm are not accessible by suspension or dispersion polymerisation in general, weshaib these particles are generally unsuitable for the purposes of this patent application. The glass transition (ATG) of the microgels (DSC) using differential scanning calorimetry, preferably as described below. For this, two cooling / heating Zykien be carried out for the determination of Tg and ATg. Tg and ATg be determined in the second heating cycle. For the determinations about 1 0- 1 2 mg of the selected microgel in a DSC sample container (standard aluminum pan) from Perkin-Elmer can be used. The first DSC cycle is carried out by first cooling the sample with liquid nitrogen to -1 00 0 C and is then heated at a rate of 20K / min to + 1 50 0 C. The second DSC cycle is begun by immediately cooling the sample as soon as a sample temperature of 50 + 1 C 0 is reached. The cooling is at a rate of about 320 K / min. In the second heating the sample as in the first cycle is again heated to 50 + 1 0C. The heating rate in the second cycle is again 20 K / min. Tg and ATg be determined graphically on the DSC curve of the second heating, three straight lines are applied to the DSC-curve for this purpose. The 1 . Straight line is curve part of the DSC curve below Tg, the second straight line on the plane passing through Tg curve branch point of inflection and the 3rd straight line to the curve branch of the DSC curve above Tg. In this way, three straight lines are obtained with two intersections. Both intersections are each characterized by a characteristic temperature. The glass transition temperature Tg is obtained as a mean of these two temperatures and the width of the glass transition ATg is obtained from the difference of the two temperatures. Kαutschukαrtige polymer particles have a Giαstemperαtur of generally <23 ° C. Thermoplastic Polymerteüchen have a glass transition temperature generally has a glass transition temperature of> 23 ° C, the width of the glass transition is in according to the invention Polymerteüchen preferably greater than 5 0 C, more preferably greater than 10 0 C.
Methacrylic acid, vinyl acetate, styrene or derivatives thereof, acrylonitrile, acrylamides, methacrylamides, tetrafluoroethylene, vinylidene fluoride, hexafluoropropene, double bond-containing hydroxy compounds such. B. hydroxyethyl methacrylate, hydroxyethyl acrylate, hydroxypropyl acrylate, hydroxybutyl methacrylate, acrolein or combinations thereof. Dimethylaminoethyl methacrylate, Vinyllmidazol such as 1-vinylimidazole, vinylpyridine, such as 2-vinylpyridine and 4-Viπylpyridin, acrylamide, 2-acrylamidoglycolic acid, 2-Acryiamido-2-methyl- l-propanesulfonic acid, acrylic acid [2 - (((butylamino) carbonyl ) oxyl) ethyl] acrylic acid (2-diethylaminoethyl) Acryfsäure- (2- (dimethylamino) ethyl), acrylic acid (3- (dimethylamino) propyl), acrylic acid-isopropylamide, Acrylsäurephenylamid, acrylic acid (3- suifopropy! ester) potassium salt, methacrylamide, 2-aminoethyl-Mθthacrylsäure hydrochloride, methacrylic acid (2- (tert-butylamino) ethyl ester, methacrylic acid-2- dimethylaminoj-methyl ester, methacrylic acid (3-dimethylaminopropylamide) Methacrylsäureisopropylamid, Methαcrylsäure- (3-suifopropylester) Kαliumsαlz, 3-Vinylαπilin, 4- Vinylαnilin, N-Vinylcαprolαctαm, N-Vinylformαrnid, l-vinyl-2-pyrrolidone, 5-Viny! urαcÜ. Based on methacrylates, in particular methyl methacrylate, styrene, alpha-methylstyrene and Acrylnitrü. The polymer particles preferably have an approximately spherical geometry. The polymer used in this invention have an average particle diameter in the range of 5 to 500 nm, preferably from 20 to 400, particularly preferably from 30 to 300 nm. The average particle diameter is determined by ultracentrifugation with the aqueous latex of the polymer particles from the emulsion polymerization. The method returns an average value for the particle diameter taking into account any agglomerates. (. 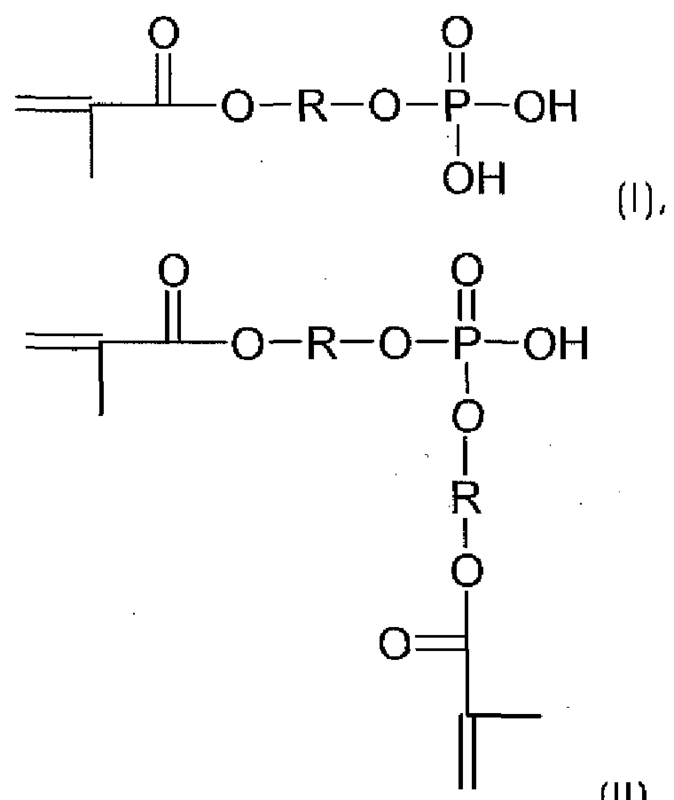 H G. Müller (1 99ό) Colloid Polymer Science 267: 1 1 1 3-1 1 and 16 W. Scholtan, H. Lange (1972) Kolloid-Z u 2 polymers. 250: 782). The ultracentrifugation was that the entire particle size distribution is characterized and different mean values ​​as Zahienmittel, weight average can be calculated from the distribution curve the advantage. The diameter measurement by dynamic light scattering leads in first approximation to similar average particle diameters. She is also performed on latex. Common are lasers operating at 633 nm (red) and 532 nm (green). In the dynamic light scattering particle size distribution is not the entire as in the ultracentrifugation characterized but gives a mean value, are weighted disproportionately in which large particles. The polymer particles used in the invention preferably have a weight average particle diameter in the range of 5 to 500 nm, preferably from 20 to 400, particularly preferably from 30 to 300 nm. The particles are prepared by Emulsionspoiymerisation, being set by varying the starting materials such Emuigatorkonzentration, Iπitiatorkonzentration, Fiottenverhältnis of organic to aqueous phase ratio of hydrophilic to hydrophobic monomers, amount of crosslinking monomer, polymerization temperature, etc., the particle size in a wide range of diameters. Diisopropenyibenzol, divinylbenzene, divinyl ether, divinyl sulfone, diallyl phthalate, triallyl cyanurate, triallyl isocyanurate, 1, 2-polybutadiene, N, N'-m-phenyl-enmaleimid, 2,4-Toluyienbis (maleimide), triallyl trimellitate, acrylates and methacrylates of polyhydric, preferably 2 - to 4-valent C 2 to C l O alcohols such as ethylene glycol, propane-1, 2, butanediol, hexanediol, Polyethylengiykol having 2 to 20, preferably 2 to 8 oxyethylene units, neopentyl glycol, bisphenol A, glycerol, trimethylolpropane, pentaerythritol, sorbitol, as well as unsaturated polyesters of aiiphatischen diols and polyols and maleic acid, fumaric acid and / or itaconic acid. Emulsion polymerization, it is best the latices obtained in emulsion polymerization. Suitable crosslinking chemicals are, for example, organic peroxides such as dicumyl peroxide, t- Butyicumylperoxid, bis (t-butyl-peroxy-isopropyl) benzene, di-t-butyl peroxide, 2,5-Ditmethylhexan-2,5-dihydroperoxide, 2, 5- dimethylhexyne-3,2,5-dihydroper-oxide, Dibenzoyi peroxide, bis (2,4-dichlorobenzoyljperoxid, t-butyl perbenzoate, and organic azo compounds such as azo-bis-isobutyronitrile and azo-bis-cyclohexanenitrile, and dimercapto and Polymercaptoverbiπdungen, such as dimercaptoethane, 1, 6-dimercaptohexane, 1, 3,5-Triιmercaptotriazin and mercapto-terminated polysulfide rubbers such as mercapto terminated reaction products of bis-Chlorethyiformal with sodium polysulfide. The optimal temperature for carrying out the post-crosslinking is naturally dependent on the reactivity of the crosslinking agent and can at temperatures from room temperature to ca, 1 80 0 C, optionally carried out at elevated pressure (see Houben-Weyl, Methoden der organischen Chemie, 4, pad, volume 14/2, page 848). Particularly preferred crosslinking agents are peroxides. The crosslinking C = C double bonds can microgels containing rubbers in the dispersion or emulsion with simultaneous, partial, possibly complete, hydrogenation of the C = C double bond by hydrazine, as described in US 5,302,696 or US 5,442,009 described or optionally other hydrogenating agents, e.g. organometal hydride complexes. Before, during or after postcrosslinking an increase in particle size can if necessary be carried out by agglomeration. The crosslinked Polymerteiichen used in the invention expediently have Toluoi at 23 ° C insolubles (gel content) of at least about 70 wt .-%, more preferably at least about 80 wt .-%, more preferably at least about 90 wt .-% to. The insoluble part is determined in Toluoi in Toluoi at 23 °. 250 mg of Polymerteüchen in 25 ml Toluoi are swollen for 24 hours with shaking at 23 ° C. After Zeπtrifugation at 20,000 rpm, the insoluble fraction is separated and dried. The gel content is calculated from the quotient of the dried residue and the initial weight and is reported in percent by weight. Qi = wet weight of the polymer / dry weight of Polymerteiichen. To determine the swelling index, 250 mg of polymer in 25 ml Toluoi 24 hours with shaking. The gel is centrifuged off and weighed and then dried at 70 0 C to constant weight and weighed again. The polymer used in this invention contain ionic groups, lonogene groups according to the invention such a group that are ionic or capable of forming ionic groups, are able in this way proton-donating and / or protonenakzeptierend to be. -P (O) (OH) 2, -OP (OH) 2 and -QP (O) (OH) 2 and / or their salts and / or their derivatives, in particular partial esters thereof. The salts represent the conjugate bases of the acidic functional groups are, therefore, -COO ", -SO 3 ', -OSO 3 -, -P (O) 2 (OH) - or -P (O) 3 3" -0 -P (O) 2 2 and -OP (O) 2 (OH) -, or -OP (O) 3 2 "in the form of their metal, preferably alkali metal or ammonium salts. The ionic groups may, depending on the method of preparation surface-employed and / or non-surface ever be. The ionic groups may be introduced by Einpoiymerisation correspondingly functionalized monomers and / or by modification after the polymerization in the Polymerteüchen. Functionalized monomers are selected for example from the group consisting of: acrylic acid, methacrylic acid, vinyl benzoic acid, itaconic acid, maleic acid, fumaric acid, crotonic acid, vinylsulfonic acid, styrenesulfonic acid, Phosponsäure- or phosphoric acid group-containing monomers with polymerizable C = C double bonds, such as vinyl phosphonic acid, 2 -Phosphonomethyl-acrylic acid and 2-acrylamide phosphonomethyl, including phosphonic acid or phosphoric acid esters of hydroxy, polymeπsierbare C = C-Doppelbindungen- having monomers or salts or derivatives. wt .-% are present, at least 20 wt .-% or at least 30 wt .-% of these monomers. -P (O) (OH) 2 are also introduced by sulfonation or phosphonation of aromatic vinyl polymers, lonogene groups may further be prepared by reacting hydroxyl-Polymeτteilchen with correspondingly functionalized epoxides. Dicarboxylic acid can be chemically bonded to the polymer particles. The aim of the modification is in particular the improvement of the compatibility with a matrix polymer in which the Polymerteiichen optionally be incorporated in order for example to achieve a good dispersibility in the preparation as well as a good coupling. Particularly preferred methods of modification are grafting of the Poiymerteilchen with functional monomers and the reaction with low molecular weight agents. In this way, the ionogenic, proton donating or proton accepting monomers can be incorporated into the polymer particles if necessary. Monomers having polymerizable C = C double bonds, such as Viπylphosphonsäure, 2-phosphonomethyl-acrylic acid and 2-phosphonomethyl-acrylic acid amide, phosphonic acid or phosphoric acid esters of hydroxy-functional, polymerizable C = C- Doppeibindungen-bearing monomers or salts or derivatives, in particular partial esters thereof with reacting the conditions of a free-radical emulsion polymerization. In this way, polymer particles are obtained with a core / shell morphology. It is desirable that the monomer used in step cation modi- grafted as quantitatively as possible to the unmodified polymer or microgel. Conveniently, the functional monomers are metered in before the complete crosslinking of the microgels. Modification of double polymer, such as coming through Ozonoiyse in question. In a preferred embodiment, the polymer particles, in particular the microgels by hydroxyl groups, particularly at the surface thereof are modified. The hydroxyl group content of the polymer particles, in particular of the microgels is determined by reaction with acetic anhydride and titration of the liberated acetic acid with KOH according to DIN 53240 as hydroxyl Zahi with the dimension mg KOH / g polymer. The hydroxyl number of the polymer particles, in particular of the microgels is preferably between OJ - 1 00, more preferably between 0.5-50 mg KOH / g polymer. The amount of the modifying agent used depends on its activity and the requirements in the individual case and is in the range of 0.05 to 30 weight percent, based on the total amount of employed polymer, especially microgel, more preferably from 0.5 10 percent by weight are based on total amount of polymer, in particular microgel. The modification reactions can be carried out at temperatures from 0- 1 80 0 C, preferably 20-95 0 C, optionally under a pressure of 1 -30 bar, are carried out, the modifications can be made to rubber microgels in substance or in the form of their dispersion, wherein in the latter case, inert organic solvents or water may be used as reaction medium. The modification is particularly preferably carried out in an aqueous dispersion of the crosslinked rubber. Membranes, films, etc. can Polyrrserteilchen according to the invention in a proportion of Mσtrixpolymer to polymer of 1; 99-99: 1, preferably from 1 0: 90 to 90: 1 0, more preferably 20: 20 containing 80 to 80 wt. The amount of the polymer particles used in the invention depends on the desired properties of Formkόrper such as proton conductivity of the membranes from. Suitable matrix polymers are for example thermoplastic polymers such as standard thermoplastics, so-called techno thermoplastics and so-called Hochieistungs thermoplastics (see FIG. 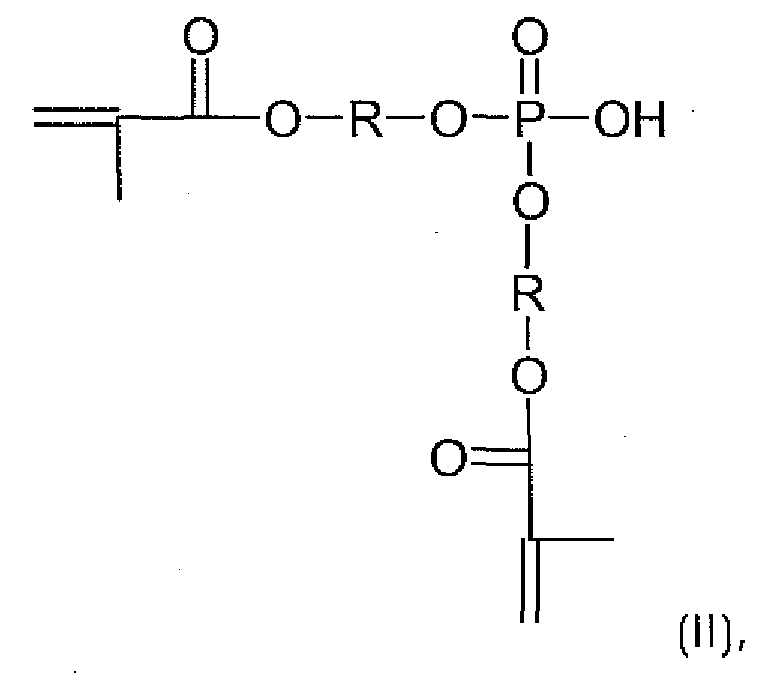 H, G. Elias macromolecules Volume 2, 5 ed., Hüthig & Wepf Verlag, 1992, page 443 ff) as for example, polypropylene, polyethylene, such as HDPE, LDPE, LLDPE, polystyrene etc. and polar thermoplastic materials such as PU, PC, EVM, PVA, PVAc, polyvinyl, PET, PBT, POM, PMMA, PVC, ABS, AES, SAN , PTFE, CTFE, PVF, PVDF, polyimides, PA, such as in particular PA-ό (nylon), preferably PA-4, PA-66 (Perlon), PA-69, PA-61 0, PA- I 1, PA- I 2, PA 61 2, PA-MXD6, etc. the weight ratio of matrix polymer to the polymer particles may conveniently be from 1: 99 to 99; 80 to 80:: is 20 1, preferably from 10: 90 to 90: 1 0, more preferably 20th The preferred polymer matrix for use in polyelectrolyte membranes, in particular for fuel cells is polybenzimidazole (z. B. US 4,460,763). The proportion of the above ionic groups in the polymer particles is preferably in the range of 0, 1 to 95 wt .-%, more preferably 1 to 90 wt .-% based on the total amount of the polymer particles. Suitable salts of the polymer particles include metal or ammonium salts, in particular alkali metal salts, alkaline earth metal salts, etc., a. Suitable derivatives of the polymer include in particular esters and partial esters of the said ionogenic groups. The invention is not limited in the applications of this new polymer, and they can be used in all the above already described applications. However, the invention particularly relates to novel composite materials of the abovementioned polymer particles, wherein these are coated on at least one carrier materias or incorporated therein. Such support materials include inorganic and organic materials, for example: carbon black, Siiiciumdioxid, calcium carbonate, calcium oxide, magnesium oxide, Aiuminiumoxid, barium sulfate, zeolites, ion exchange resins, fibers, especially polymer fibers, etc. But the new polymer can also be applied in pure form, for example, in ion exchange or catalytic processes. The preparation of the microgels is described, which are used in the further examples. All microgels were prepared by emulsion polymerization. The Moπomerkombinationen used for the preparation of the microgels and significant Rezepturbestandteiie are summarized in Tables 1) and 2). All formulation constituents are added to 1 00th related parts by the monomer mixture. In Table 1), the experiments are summarized in which 95 Lanxess Germany GmbH was used as an emulsifier Mersolat® H. Mersolat® H 95 is the sodium salt of a mixture of long chain (C l 6-C l 8) alkylsulfonates. In Table 2) the experiments are summarized in which as an emulsifier a mixture of disproportionated rosin acid (Dresinate® 731/70% strength by Abieta) and fatty acid (Edenor® HTICl N from Oleo Chemicals / 1 at 2% in water was used) , In these experiments, parts by weight of potassium hydroxide was also 0.6. Added (Table 2). By the potassium hydroxide, the mixture of resin and fatty acid was neutralized formal to 1 50%. The products OBR 1290-2, 1290-4 OBR, OBR 1293-1, 1291-1 OBR, OBR 1297 OBR 1294-1 and 1438-1 OBR (Table 1) were produced in a 61- glass reactor equipped with a stirrer, while the products OBR 1361- B, OBR 1435-4, OBR 1327 B and OBR 1330 I (Table 1 and Table 2) were prepared in a 20-i StaNautoklaven with agitator. 0.524 g trisodium phosphate *! 2H 2 O (Acros, article number 206520010) (calculated without water of crystallization) is metered. Half of the aqueous activator solution was added 5 min. After addition of the premix solution into the reaction vessel. In this way, the polymerization was started. After 2.5 hours reaction time, the reaction temperature was raised to 40-50 0 C, After an additional hour, the second half of the aqueous activator solution was added. Upon reaching a Poiymerisationsumsatzes> 90% (usually 95% - 100%), the polymerization by adding an aqueous solution of 2.35 g of diethylhydroxylamine (DEHA, Aldrich, product number 03620) was stopped. Monomer mixture and a total amount of water of 1 4 kg is used. carried out the further implementation of the experiments described in a manner analogous to those carried out in Giasreaktor attempts. After stopping the polymerization, unreacted monomers and volatiles were removed by stripping with water vapor from the latex. The latices of Table 1) and 2) were filtered and treated as in Example 2 of US 6,399,706 with stabilizer, coagulated and dried. characterized (glass transition temperature / Tg and Tg width of the stage). Cl 1 0, d 50 and d 30: Di © particle diameters were on the stopped and stripped with steam latex determined by means of ultracentrifugation (W. Scholtan, H Lange. Solid products such as those used in the erfindungsgemάßen compositions are virtually identical. d d |S: the latex of certain particle diameter obtained by a dynamic light scattering (DLS). For determining a Zetasizer® Nano Instrument (Model Number: Nano ZS) from Malvern Instruments Ltd. , Worcestershire, England used. By dynamic light scattering will have an average particle diameter. For the determination of Tg and .DELTA.Tg the instrument DSC-2 of Perkin-Elmer was used in the first measuring cycle, the sample with liquid nitrogen with 320 K / min to - cooled 1 30 0 C and a heating rate of 20 K / min and heated to 1 50 0 C. In the second measurement cycle is again - 1 30 0 C cooled and heated at 20 K / min. Tg and .DELTA.Tg be determined in the second measurement cycle. For the determination of the insoluble portion (GelgehαSt) and the swelling index (Q) were swelled 250 mg of the microgel in 25 ml Toiuol 24 hours under shaking at 23 ° C. After centrifugation at 20,000 rpm, the insoluble fraction is separated and dried. The violin maintenance results from the quotient of the dried residue and the initial weight and is reported in percent by weight. As shown by the above experiments, be displaced in the Kupferadsorption alkali and alkaline earth favor of copper. Both the vinylphosphonathaltige gel (OBR 1297) and the vinyisulfonathaltige gel (OBR 1 361 B) have a high capacity for the adsorption of copper ions. To demonstrate the Kupferadsorption from dilute aqueous solutions was added 20 g of vinylphosphonathaltigen gel were OBR (* CuSO 4 5H 2 0 of ASdrich, article number: 20.920 to 1) 1297 in 225 ml of a 0.01 molar aqueous solution of Kupfersulfαt dispersed After 24 h was separated and the gel dried at 60 ° C. By means of ICP-AES was determined the Cu content of the gel to 7200 ppm. With this experiment it is shown that the gel vinylphosphonathaltige OBR 1297 is suitable for a nearly quantitative removal of copper from dilute waste waters. To demonstrate the ability to Silberadsorption 10 g of the gel vinylphosphonathaltigen OBR were 1 297 in 75 ml of a 0, 1 molar aqueous solution of Sübernitrat (Merck, Product number: 1512) were dispersed with stirring for 24 h. Thereafter, the gel was filtered and dried to constant weight at 6O 0 C. Mitfels AES-ICP, the silver contents were determined before and after treatment with silver nitrate solution. It was found that the non-exposed Originalgel contained <1 ppm silver, after treatment with silver nitrate solution, the silver content was 78,000 ppm. This results that were adsorbed from the aqueous solution with the aid of the gel about 96% of the available amount of silver. With the experiment is shown that the vinylphosphonathaltige gel for the removal of silver from waste water is suitable. To demonstrate the Zinkadsorption from a dilute solution 20 g of the gel OBR, 1 297 in 200 ml of a 0.0094 molar aqueous solution of zinc sulfate (Fluka, Product number: 96500) (containing a total of 61 4.5 mg zinc) with stirring for 24 h dispersed. Thereafter, the gel was filtered off and dried to Gewichfskonstanz at 60 0 C. The zinc content of the gel was (6900 ppm) is determined before (<1 ppm) and after treatment with zinc solution using ICP-AES. The two hydroxyigruppenhaltigen gels OBR 1327 B and OBR 1330 I were initially with sulfuric acid (50 g gel in 250 ml of sulfuric acid / 1 0% ig) or, with phosphoric acid (50 g Gei in 250 ml phosphoric acid / liter 0% ig 24h at 96 ° treated C, isolated by filtration, redispersed in water and washed until neutral with deionized water and dried at 6O 0 C. Subsequently, each of 1 0 g of the acid-treated gel in a 0.32 molar aqueous solution of copper sulfate (CuSO 4 * 5H 2 0 from Aldrich, product number 20,920- 1) with stirring for 24 dispersed h. Thereafter the gels were filtered off, and to constant weight at 60 0 C dried. 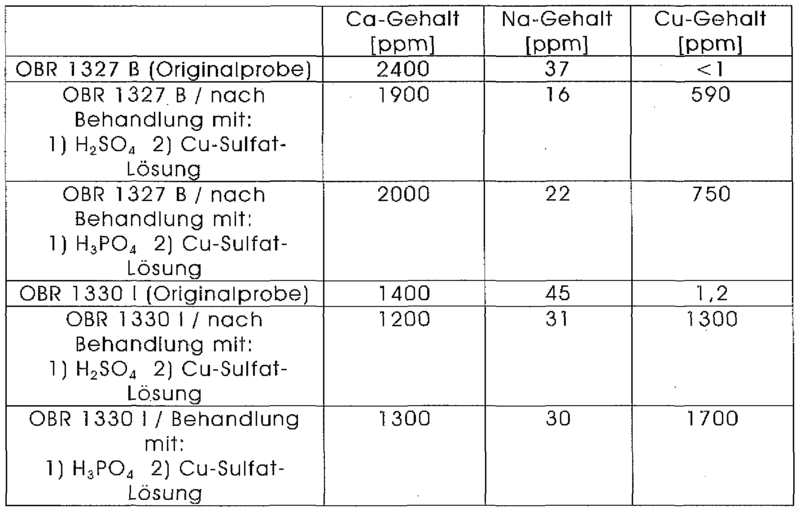 the contents of selected metals were both before (the original specimens) and after the treatment with acid / copper solution by means of AES-ICP determined (see table below). The following experiments are carried out with vinyiphosphonat- and vinyisulfonathaltiger gels to demonstrate the suitability of the polymer as Recyclable Catalysts for acid esterification. The condensation is carried out in bulk at 1 50 0 C. It no solvent is used. Di © benzoic acid and 2-ethylhexanol have been commercially obtained from Aldrich, The amount of catalyst is 0.02 equivalents of acid. Here, it is assumed that the acid groups of the microgel are fully accessible. The progress of the reaction is followed by gas chromatography. In all approaches described below, the molar ratio of benzoic acid to 2-ethylhexanol one is to three, so that one can do without a repeat statement. the condensation of 2-ethylhexanol with benzoic acid as illustrated in Scheme 1 is used as a test reaction. The test is carried out in an apparatus with water separator and under a stream of nitrogen. The percentages are percentages by area in the GC. Carrying 7.38 g microgel OBR 1297 is hexanol swollen prior to the start at room temperature for 4 days anhydrous in 97.0 g 2-Ethyl From Multiple stirring, under a stream of nitrogen is heated within 50 minutes to 150 0 C and 6 hours stirred at 1 50 0 C and passing nitrogen. It is taken hourly a small sample for GC measurement. These samples are blank. After the reaction, the microgel is filtered, extracted, and in a vacuum oven at 80 0 C and 100 mbar dried to constant weight. the microgel obtained virtually quantitatively back. The revenue trend is documented in Table 2 below. 360 67.5 9 5 23 Percentages are area percents by GC. Procedure: The 2-Ethyihexanoi is introduced and the benzoic acid was added portionwise at room temperature with vigorous stirring. The result is a clear solution after brief stirring. Under a stream of nitrogen is heated within 50 minutes to 150 0 C and stirred for 6 hours at 150 0 C and passing nitrogen. It is taken hourly a small sample for GC measurement. These samples are blank. Polymer particles having an average particle diameter in the range of 5 to 500 nm, containing ionogenic groups as proton-donating and / or proton-accepting substance in heterogeneous chemical processes. 3. Use according to one of the preceding claims, wherein the polymer particles produced by emulsion polymerization are rubbery or non-rubbery. Hydroxyverbindungeπ such. B. hydroxyethyl methacrylate, hydroxyethyl acrylate, hydroxypropyl acrylate, hydroxybutyl methacrylate, acrolein or combinations thereof. 5, The use according to any of the preceding claims, wherein the polymer particles have a glass transition temperature, Tg, of - having 1 00 D C to 1 50 0 C.
6. Use according to one of the preceding claims, wherein the polymeric particles are those based on methacrylates, Methylmethαcrylαt Specifically, styrofoam! or Styrolderivαten as αlphα-methylstyrene, pαrα-methyl styrene, acrylonitrile, Methαcrylnitril, Vinylcαrbαzol or combinations thereof. 7, use according to any of the preceding claims, wherein the polymer particles produced by emulsion polymerization are at least partially crosslinked. are polymer particles at least partially by the addition of polyfunktioπellen monomers cross-linked in the polymerization. Polybutadiene, N, N'-m-phenylene maleimide, 2,4- Toluyienbis (maleimide), triallyl trimellitate, acrylates and methacrylates of polyhydric, preferably 2- to 4-valent C 2 to C l O alcohols such as ethylene glycol, propane-1, 2 , butanediol, hexanediol, Polyethyienglykol having from 2 to 20, preferably 2 to 8 oxyethylene units itaconsάure, neopentyl glycol, bisphenol A, glycerol, trimethylolpropane, pentaerythritol, sorbitol and unsaturated polyesters of aliphatic diols and polyols and maleic acid, fumaric acid, and / or. 10. Use according to one of the preceding claims, wherein the polymer particles have an approximately spherical geometry. 1. 1 Use according to one of the preceding claims, wherein the Poiymerteüchen autweisen an average particle diameter of less than 350 nm. 1 2, The use according to any of the preceding claims, wherein the polymer particles in toluene at 23 0 C have insolubles of at least about 70 wt .-%. 1 4. Use according to one of the preceding claims, wherein the polymer particles have a width of the glass transition range of greater than about 5 0 C.
1 5. The use according to any of the preceding claims, wherein the ionic groups are selected from one or more of the following functional groups: -COOH, - SO 3 H, -OSO 3 H, -P (O) (OH) 2, -0 -P (OH) 2 and -OP (O) (OH) 2 and / or their salts and / or derivatives thereof. wherein R is a divalent organic group, such as especially C l to C 10 alkylene. Polymer particles are introduced by decomposition of persulphates or perphosphates in the presence of double bond polymer, as well as by transesterification by means of sulfuric or phosphoric acid in the polymer. 20. Use according to any one of the preceding claims, wherein the ionogenic groups are -SO 3 H or -P (O) (OH) 2, and are introduced by sulfonation or phosphonation of the aromatic vinyl polymer. Friedel-Crafts acylation and -Alkylierungen or dehydration reactions are used are used as stationary phase in columns and panels for separating operations - are used in electrochemical processes, in lonenabsorptionsverfahren be used be used as the antifouling agent be used in paints, in functional clothing are used - are used in medical articles, in polymer matrices, such as in the form of shaped bodies such as films or membranes, such as for fuel cells, are used embedded, embedded in deprotonated form as hydrolysis are used. -OSO 3 H, -P (O) (OH) 2, -0-P (OH) 2 and -0-P (O) (OH) 2 and / or their salts and / or derivatives thereof. 23. Polymeric particles according to claim 22, wherein the ionogenic groups surface-permanent and / or non-ionogenic surface-permanent groups. 24, the polymer particles according to claim 23, wherein the derivatives are selected from esters. Dehydration reactions are used are used as stationary phase in columns and panels for Trennoperafionen be used in electrochemical processes - are used in lonenabsorptionsverfahren, ais Antifouiing-active compound are used, they are used in paints, are used in functional clothes, are used in medical articles are used are used in polymeric matrices such as in the form of shaped bodies such as films or membranes, such as for fuel cells, embedded, embedded in deprotonated form as hydrolysis -. 2ό. Verbundmateriai containing polymer particles according to one of claims 22 to 24 and at least one carrier material. 27 moldings comprising polymer particles according to one of claims 22 to 24 hours.